The Maker Faire. What is it? A Maker Faire is many things. It is a big show and tell of new ideas. In some places of the faire, it is an educational event where both kids and adults engage in science, technology, engineering, math, and art. 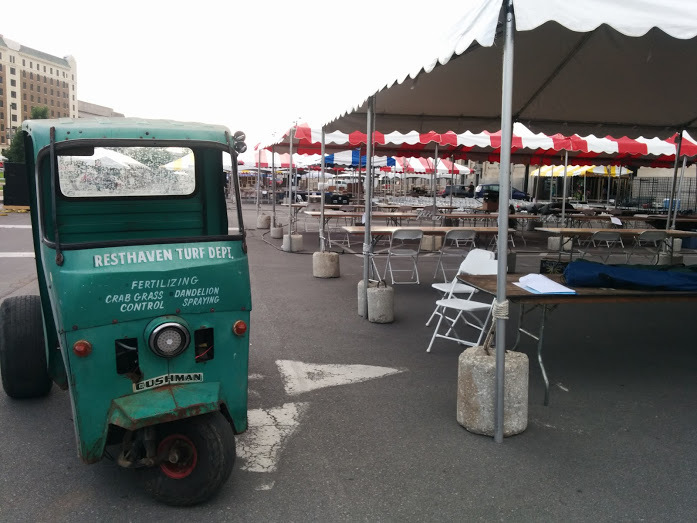 Some people come to a maker faire to participate in a culture of engineering and learning for fun by putting on demos (and/or racing power wheel vehicles). It is the future as expressed by people that are interested in building it. Some people are selling innovative products that haven’t made it to our everyday shelves yet. Throughout the event, everyone meets new friends from new places. There is something for everyone here at the Maker Faire. All of this neat stuff has to come from somewhere. The team traveled from Des Moines to Kansas City while carrying everything that we needed for the event. Some of these items were electric vehicles and presented a few challenges to transport. After arriving, everyone got right to work in setting up our booth and meeting new people. Finishing up after setup before the first day. Even during setup, we had to take a few breaks to “test” out the track. The KC Maker Faire had a great maker mix as well as a fun opening talk (some of us may have clapped at the wrong times). Area 515 participants were busy all day giving demos, checking out other peoples booths, working on projects, and helping out (or just having fun) with the Power Wheels event. We used the Electric Tuk to help out whenever possible. 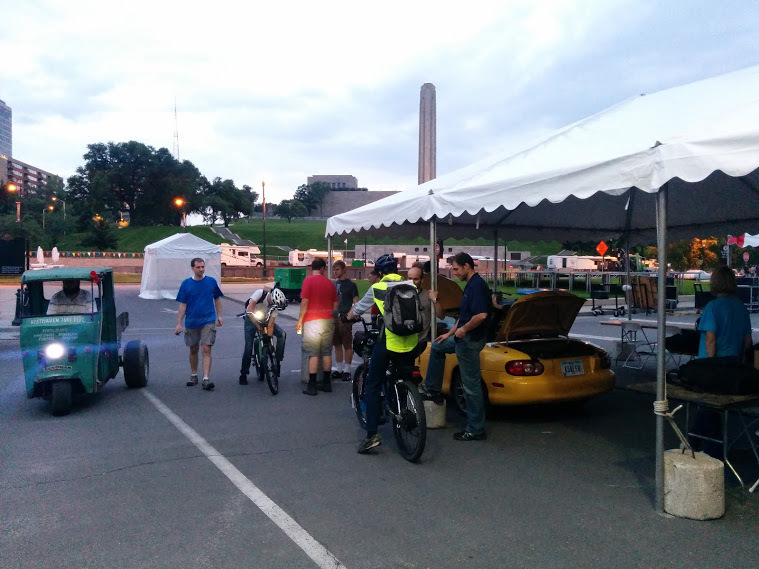 Members showed off their printers, prints, projects, electric vehicles, and creations with the public. Everyone from Des Moines did their best to answer all and any questions. The inside demos had printers of all types, educational areas, presentations, panel discussions, robots, Arduinos, Makerspaces, art, steampunk, painting, and instruments. Of course, this is not a comprehensive list of all the things inside. There were so many fun booths, shows, and presentations. There is no way I could, nor should I, sum up the Maker Faire. Instead, we did the best to take pictures or video and document them all with captions. 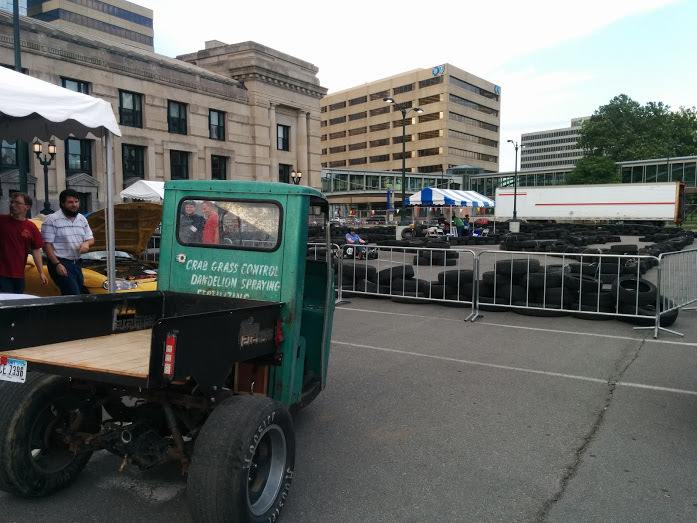 Our 2014 KC Maker Faire Album is available here. Check out the articles below to see more of excitement. We have to say thank you to everyone that helped us. 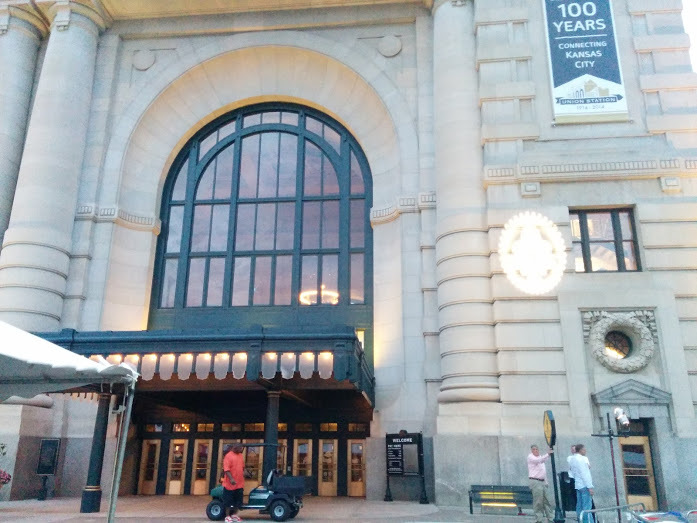 Thank you to the KC Maker Faire / Union Station for hosting the event, helping us setup, having space for us, and making the whole event just work. Thank you SeeMeCNC, for helping Des Moines build more 3D printing expertise. Thank you Sedgwick, for helping us get started with SLA printing. Thank you to the people at the Hammerspace, for the tour and hospitality.